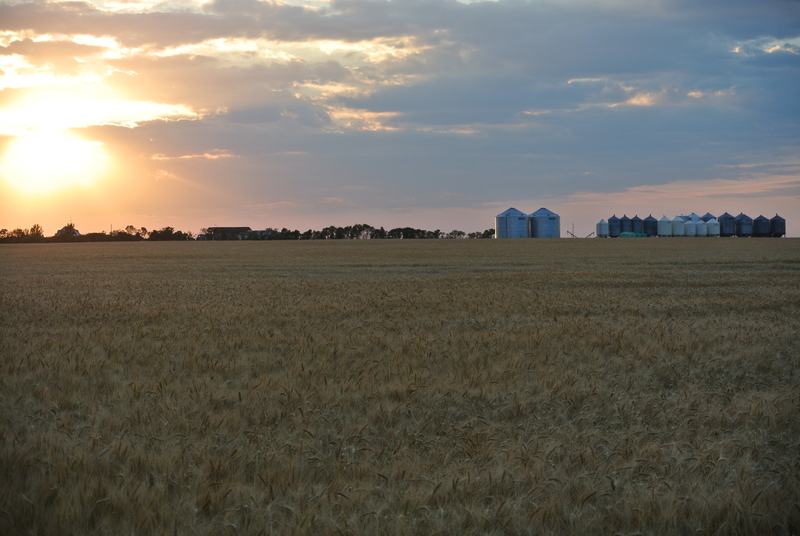 While summer doesn’t technically end until September 22, for farmers it will unofficially end very soon. The beginning of harvest more or less ends summer for those of us involved, with the stoppage of all non-essential activities to focus fully on the marathon that is known as harvest. This day is rapidly approaching for our farm, with our earliest crops marching inexorably towards their maturation. The final rush for preparations will ensue this week as we hurry to get everything ready. 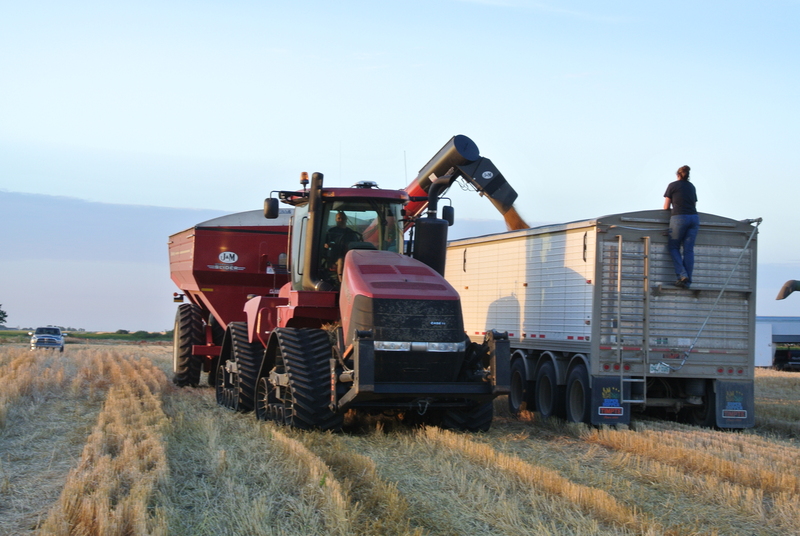 Combines, swathers, headers, grain-moving equipment, bins and tractors must all be prepared for the long, slow push that harvest brings. Unlike seeding, harvest isn’t a sprint to the finish line; it is a marathon, a slow process, with days that can often be very short. 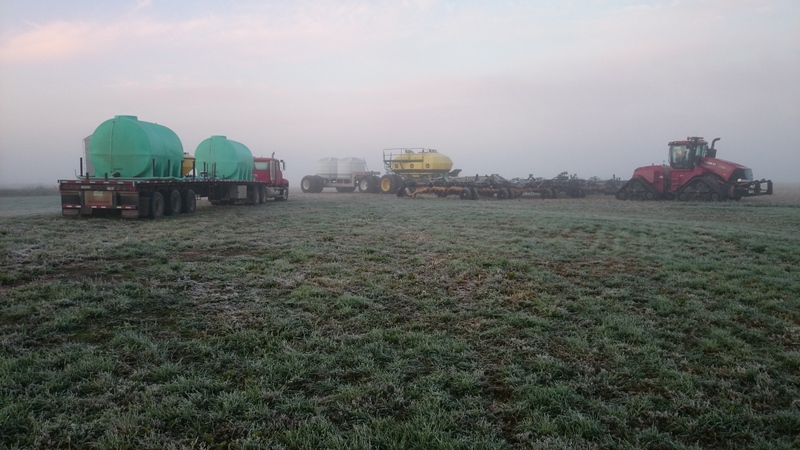 While there are few impediments to seeding through all hours of day and night, dew and long nights can make for short days of combining, especially later in the year. Indeed, it would not be uncommon for us to still be combining into October. Where seeding is only 2-4 weeks long, consisting of days of screaming ahead at full throttle and days of waiting for rains to end, harvest is 4-8 weeks long, with day after day of continual marching forward. The enormity of the task that this season brings looms ahead of us now, with 12,000 acres of crop to pull off the fields. Based on my current yield estimates, that should work out to over 400,000 bushels of canola, winter wheat, durum, spring wheat, peas, lentils, soybeans and flax. Over a third of that is committed for sale off the combines (to be delivered as we harvest), while the rest must be stored in bins and grain bags. At 1100 bushels per semi load, that is a lot of hauling! Somewhere in all this, we also plan to seed 2,000 acres of winter wheat. So, in addition to trying to keep 3 combines, 3 semis and 1 grain cart operating, we have to find a way to run an air drill for a week! 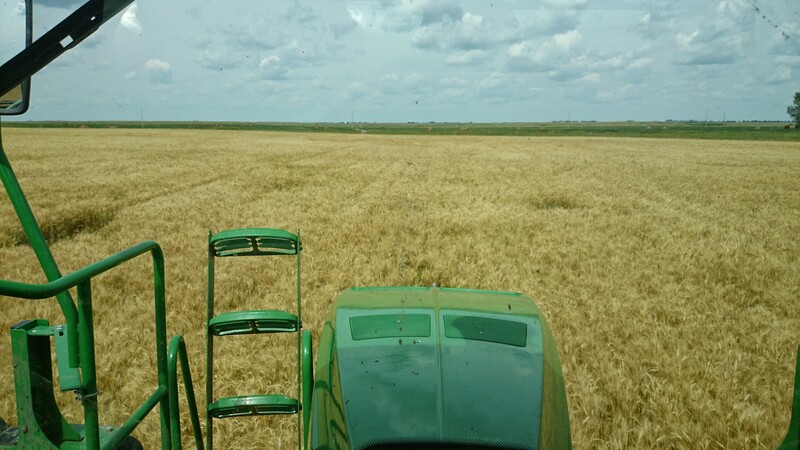 While the difficulties of doing this are significant, the advantages of seeding winter wheat are well worth the challenge. 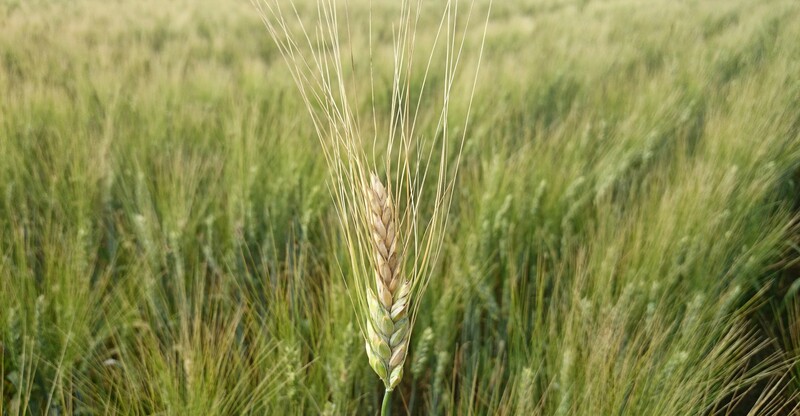 Our most profitable crop this year looks to be winter wheat, with a gorgeous stand of it very near to harvest now. It takes a lot of pressure off the compressed seeding season we seem to be stuck with nowadays, and gets a crop growing early to take advantage of the excessive spring rains that have become all too common. We sprayed some of the earliest winter wheat yesterday to help finish off the crop and prepare it for harvest. While crops will eventually dry down on their own, the use of a herbicide can sometimes greatly speed up this process. In pulse crops, like peas and lentils, this is absolutely a necessary practice. 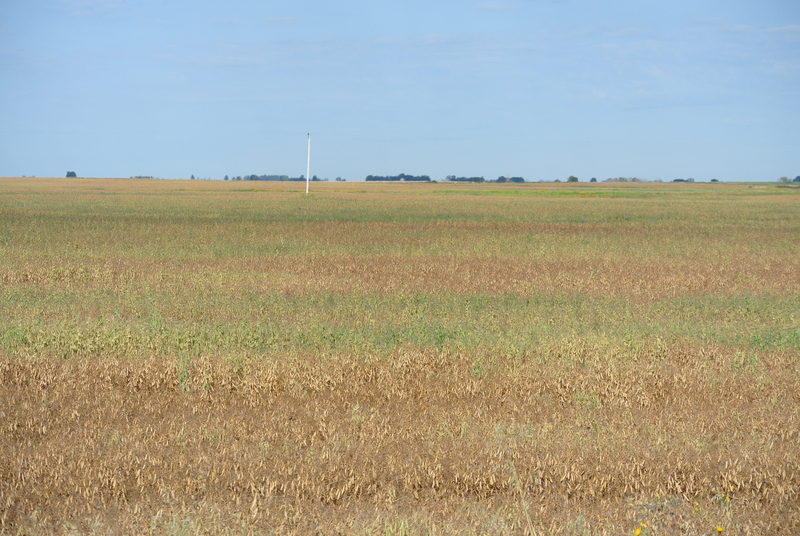 These crops do not dry down on their own very quickly, and late season weeds coming through won’t die off for months. The best way to deal with these crops is a herbicide that “burns them down”, which basically just releases much of the water from their cells. This can bring a crop to maturity in days, rather than weeks. We sprayed our peas at the end of last week, so we expect to harvest them sometime just after this coming weekend, say Monday. Great time for dessication for these green peas. With the realization that harvest may very well begin in only a week comes the panic to get everything ready. 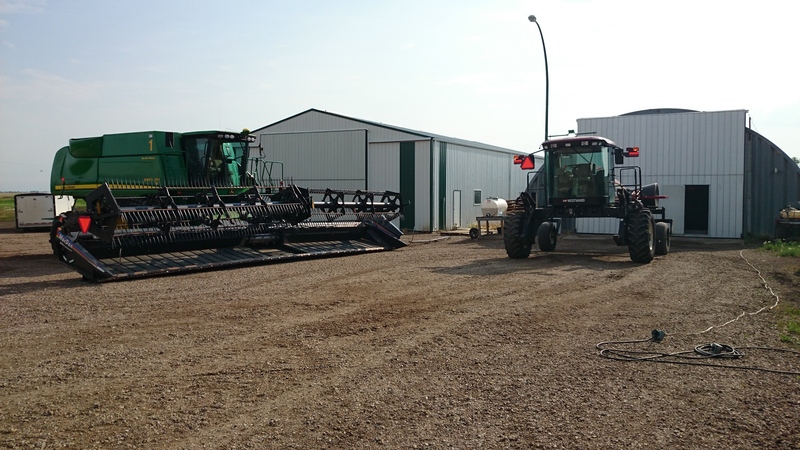 While our combines are more or less ready for the field, we are renting a third one this year to help get the crop off quickly, due to our increased farm size in 2014. This combine will need a good, thorough checking over to ensure no costly breakdowns occur in the field. Combines are marvels of technology, but are full of belts, chains, bearings, and tons of moving parts that, sooner or later, will break. Minimizing this is critical to having a successful harvest. While it may seem that harvest isn’t really a time-crunched operation, that is really not the case. 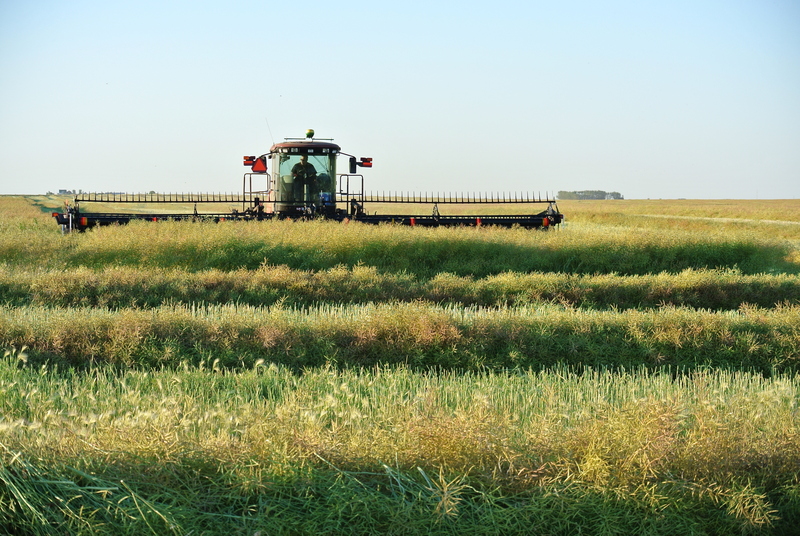 One small rain shower can cost a substantial amount of money in grade-sensitive crops like durum or lentils, or a strong wind can blow away thousands of acres of canola. Indeed, one bad storm can be very costly, so moving through harvest as quickly as possible is of vital importance. As we move closer to the harvest season, it is important to carefully monitor our crops. 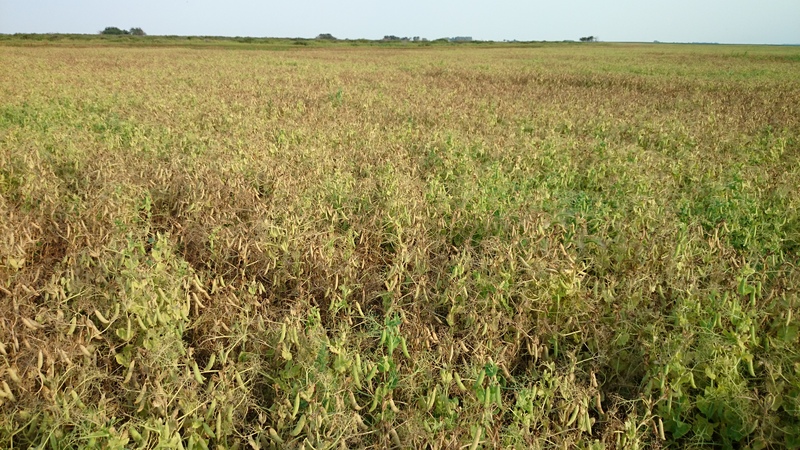 An outbreak of Bertha armyworm in canola or grasshoppers in our lentils is still a threat, among other insect infestations. This is also a great time of the year to check for disease. 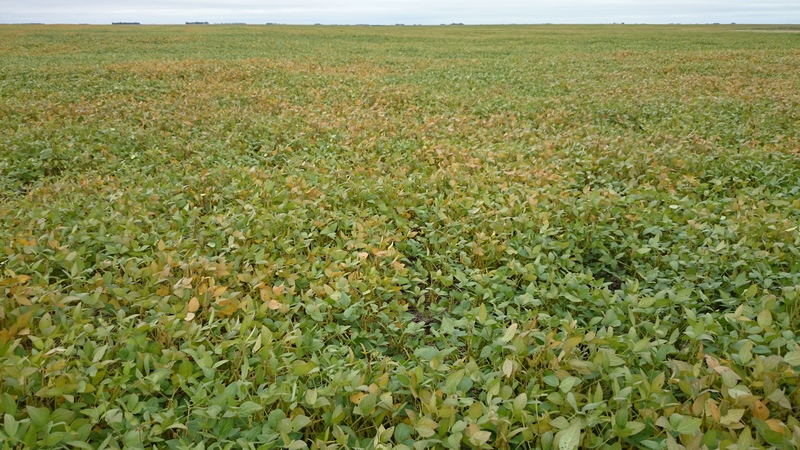 Although it is now too late to spray fungicides, checking to see what diseases may have infected our crops allows us to determine whether fungicides paid this year, or whether we should have sprayed more of them. As we put together years and years of this information, we can start to draw trends to help determine when or if fungicides pay for themselves. They are usually very expensive to purchase and to apply, so we really need to be sure they will pay for themselves before we spray them. Diseases like Sclerotinia in canola and lentils, fusarium head blight in durum, and pasmo in flax will all show up at this time of the year. I just need to make sure I take the time to check for them! As I look around the area to see what crops experienced for disease this year, I find myself becoming increasingly anxious for harvest. 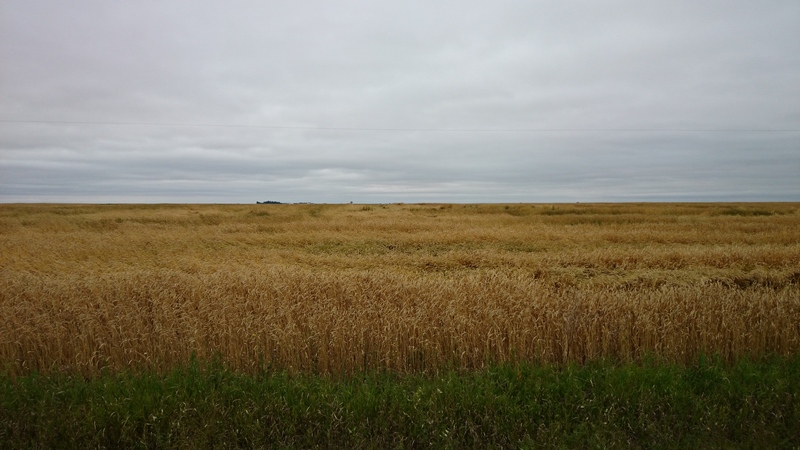 Substantial disease symptoms have manifested themselves in some of our canola and lentils, and I have seen severe disease in local durum fields as well. Chalk it up to an abnormally wet spring and a frustratingly humid and warm summer. But, harvest will tell the tale of just how much yield disease cost us this year. In the next few weeks, the story of the 2014 growing season will finally reach its conclusion. Questions will be answered: how bad was the flooding this spring? How much damage did plant diseases cause? Did spraying fungicides and insecticides actually pay? Did we use enough fertilizer? Too much? Is our equipment doing the job like it should? Not to mention a thousand other questions that need answering to prepare for seeding in 2015. Harvest, despite its long hours, sometimes monotonous nature and always stressful disposition, is a wonderful time of year, when many of the questions of the growing season are answered, when money finally starts to come in (instead of pouring out), and when we finally get to look at what we’ve accomplished for the year. The results of everything we have done finally come to fruition. The fields take on a brilliant golden hue of ripe crops, and the country bustles with activity, with combines and trucks and people everywhere you look. Yes it is stressful, and yes it is wearying, but it is the culmination of all that is farming; of all that is agriculture. Harvest looms ahead of us. And I can’t wait for it to begin. Jay on Why Do We Spray?